Have Libraries Become the New Startup Incubators? My friend texted me, I’m in the Rose Room at the New York Public Library. I’m getting some work done. 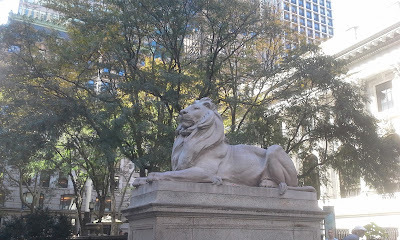 In the throes of starting her own business and taking meetings in New York City, my friend found the library to be the perfect refuge and work environment. When I go to our local library in Darien, Connecticut, the main reading room is filled with people using their laptops. A librarian told me that most of them were working on their business. Downstairs, virtually every seat is taken in the technology room. Sometimes it’s hard to tell the difference between an incubator, a co-working space, and the library. My coauthor, Ed McLaughlin, is very attached to the library. It’s where his company, USI, was born. As long as the local library was open, he and his early partners would lock themselves in a study room, basking in the air conditioning and figuring out their business model. The library provided an escape the cottage Ed and his family had moved into to reduce their expenses and minimize personal risk while he toiled at his startup. dissemination came on the scene, however, some people worried it would spell the end of this great institution. But that doesn’t seem to be so. NPR tells us that libraries are still the place people go to get guidance from knowledge experts. Although technology might seem like it would draw patrons away from the brick-and-mortar search facilities, it turns out that heavy library users are also heavy technology users. The New York Times gives a peek at the library’s future, integrated with the digital world and welcoming patrons in with open doors and arms. Some libraries are transforming themselves into incubators for entrepreneurs with their quiet and access to WiFi and technology. My local library has gone out of its way to offer business, media, and technology services. I often hold client meetings in my library, and I’ve learned that patrons can use a 3-D printer, a Bloomberg terminal, and video editing software. You can even get coffee and a snack on the main level. The library in nearby Stamford, CT, has become the host of 1 Million Cups – a forum to connect local entrepreneurs through monthly presentations. Your local library may have meeting rooms you can use for free or for a reasonable fee. Can’t find the research you need? Librarians can be an amazingly helpful resource for entrepreneurs who are seeking to do in-depth market and competitive analyses. They are not only up on the latest Google search tricks, they can show you how to access databases, financial filings, and industry association journals. It is my hope that libraries will continue to be a haven of inspiration to the next generation of entrepreneurs. Maybe you’ll be one of them. Ed McLaughlin and Wyn Lydecker are coauthors of “The Purpose Is Profit: Secrets of a Successful Entrepreneur from Startup to Exit,” winner of the 2017 Axiom Book Award in Entrepreneurship. Available on Amazon or at your local bookstore.